Anime Series | Watashi Wa Bucho!! The idea for this blog post came to me after reading the lovely Irina’s post, titled: “I Don’t Know Who I Am Anymore… Why My Anime Scores Do Not Represent Me!” During this post Irina discussed why we ought to take her scores on Anilist and on MAL, which fluctuate over time, with her mood, and as a result of comparison, with a pinch of salt. Please do give this post a read, as it’s very entertaining! Anyway, this got me thinking about my own scores. I don’t know about you, but I take the process in which I score anime very seriously! I think that each show represents an investment, in terms of time spent watching it, so if my scores have a part to play in encouraging people to or warning them off of making a wise or unwise investment, shouldn’t I take scoring seriously? As part of this (very serious) business, I consider lots of different things and use many different rules of thumb. Join me as I discuss some of these! Who knows, maybe you use a few of them yourself! Hello! I’m so glad that you could join me today! For those of you who are newer to Watashi Wa Bucho! !, it may surprise you to learn that this isn’t actually my first attempt at episodic blogging. I actually covered Nazo no Kanojo X, Shin Sekai Yori, and the first season of The Legend of Korra back in the day. That said, that was six whole years ago, so please bear with me as I find my feet once more! Anyway… I actually love episodic blogging! More so than during a review, in which you’re required to boil down everything you like/dislike about an anime to its bare bones, writing about a show episodically allows you to chew the fat, or talk at length, about what makes a show good or bad. It also allows you to cogitate over the finer details, a particular turn of phrase a character may have used or a facial expression they might have made and what that could possibly mean, for instance. 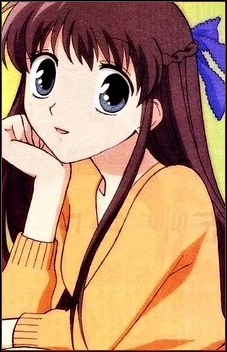 I can’t wait to do just that, and more, for one of my all-time favourite franchises: Fruits Basket! What Is so Darn Attractive About Gamer Guys Anyway? There is a lot of overlap between the anime and gaming fandoms. Many of the world’s most popular video game franchises originate from Japan, anime’s homeland, anime and video games have, historically, faced similar controversies in terms of their content and representation of certain groups, and both pastimes, whilst once fairly niche, have now achieved mainstream popularity. Long gone are the days of being a closeted anime fan or gamer. As such, it is not all that uncommon for an anime to feature a world that operates on video game mechanics or a video game obsessed anime character. Today’s blog post will focus on the latter.